A bipartisan budget deal has been reached in Congress. Shedding gridlock, key members of Congress reached a modest budget agreement Tuesday to restore about $63 billion in automatic spending cuts from programs ranging from parks to the Pentagon. The increases would be offset by a variety of spending reductions and increased fees elsewhere in the budget totaling about $85 billion over a decade, leaving enough for a largely symbolic cut of more than $20 billion in the nation's $17 trillion debt. Federal civilian and military workers, airline travelers and health care providers who treat Medicare patients would bear much of the cost. Significantly for Democrats, they failed in their bid to include an extension of benefits for workers unemployed longer than 26 weeks. The program expires on Dec. 28, when payments will be cut off for an estimated 1.3 million individuals. Bipartisan approval is expected in both houses in the next several days, despite grumbling from liberals over the omission of the unemployment extension and even though tea party-aligned groups have already begun pushing Republican conservatives to oppose it. The White House quickly issued a statement from President Barack Obama praising the deal as a "good first step." He urged lawmakers to both parties to follow up and "actually pass a budget based on this agreement so I can sign it into law and our economy can continue growing and creating jobs without more Washington headwinds." Congress' two budget negotiators hailed their own work. The deal "reduces the deficit by $23 billion and it does not raise taxes. It cuts spending in a smarter way" than the ones in effect, said Rep. Paul Ryan, the Wisconsin Republican who chairs the House Budget Committee and was his party's negotiator in several weeks of secretive talks. His Democratic counterpart, Sen. Patty Murray of Washington, said, "We have broken through the partisanship and gridlock" that could have produced a government shutdown in January. The $63 billion in restoration of across-the-board spending would be doled out across this budget year and the next, which ends on Sept. 30, 2015. The offsetting $85 billion in deficit cuts would play out over a decade. They call for newly hired federal workers to make larger contributions to their own pensions, as well as an increase in a federal airport security fee that would add $5 to the cost of a typical roundtrip flight. Also included were unspecified savings from military retirement programs. More savings would come from extending an existing 2 percent cut in payments to providers who treat Medicare patients. Full details were unavailable pending their posting on budget committee websites. Murray and Ryan had scarcely finished lauding their work when Sen. Marco Rubio, R-Fla. and a potential 2016 presidential contender, announced he would oppose it. "We need a government with less debt and an economy with more good paying jobs, and this budget fails to accomplish both goals," he said in a statement. Even some of the bill's supporters stopped short of describing it in glowing terms. 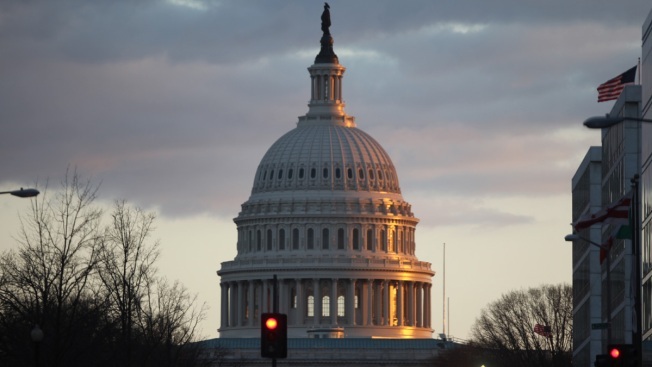 "While modest in scale, this agreement represents a positive step forward by replacing one-time spending cuts with permanent reforms to mandatory spending programs that will produce real, lasting savings," said Speaker John Boehner, R-Ohio. The budget deal was one of a handful of measures left on Congress' to-do list near the end of a year that produced a partial government shutdown, a flirtation with a first-ever federal default and gridlock on Obama's call for gun control, an overhaul of immigration laws and more. Even before the deal was announced, conservative organizations were attacking the proposal as a betrayal of a hard-won 2011 agreement that reduced government spending and is counted as among the main accomplishments of tea party-aligned Republicans who came to power earlier the same year in the House. Given the internal GOP divisions in the House, Boehner is likely to need Democratic votes to approve any deal by Ryan and Murray. It was not immediately clear how many Democratic lawmakers would support a plan that lacked an extension of unemployment benefits. If left in place, the reductions would carve $91 billion in the current budget year from the day-to-day budgets of the Pentagon and domestic agencies when compared with spending limits set by the hard-fought 2011 budget agreement. The White House wanted a deal for a same reason, but also to ease the impact of automatic cuts on domestic programs from education to transportation to the national parks.